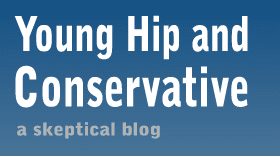 Young, Hip and Conservative: a skeptical blog: Can we find a definition of rich and stick with it? Gross's interview was framed around the current (at the time) discussions of wealth inequality, but this was kind of a distraction from the meat of the piece, which is the story of where the 90s surplus went. I think it's inevitable that the biggest gains from globalization are going to go towards a few entities that can best manage resources on that level; in short, I don't see wealth/income inequality as a problem, but I do have a big problem with starving the beast, as this means in practice hurting the lower classes which rely more on safety net spending. State social service programs are already falling apart and the federal situation will only make this worse. I see STB as hijacking democracy in a way. It allows a small minority in Washington to gut programs that voters have chosen to be put in place (setting aside the libertarian notion that no federal social program could be constitutional). It also just doesn't work: it has not curbed interventionism nor runaway social spending because the public has not had to pay the tab; it has grown the beast and starved our kids! I completely agree that, as Megan McArdle often points out, soaking the richest of the rich won't save the budget, and that the tax code is very progressive (at the federal level at least), but I don't see any serious solutions in the GOP candidate tax plans. Almost all would almost surely drop revenue and some seem to radically shift burden onto the lower classes to give large cuts to the wealthiest (whom I don't see as particularly deserving or in need of large breaks). I think *all* the early 2000s cuts need to go.